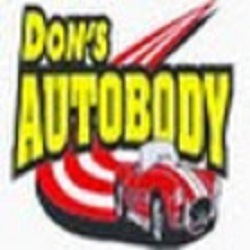 Since the day cars appeared in our society, accidents have happened and repairs have been made by Don&apos;s Autobody. If you own a car, chances are you will need to have paint or bodywork done. An ASE and PPG certified collision repair center, Don&apos;s Autobody is a full-service body shop that can take the hassle out of the repair and insurance process, leaving you confident and assured that repairs will be to your satisfaction.